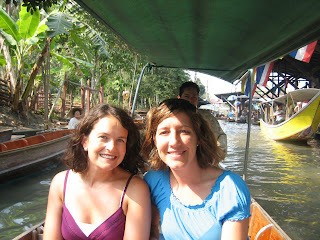 We had the pleasure of traveling around Thailand for about 10 days this month with Wendy, our dear friend from the states. 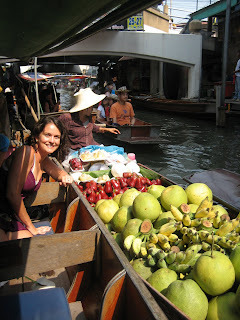 One of the many places we took her was the ever-so-famous Floating Market. 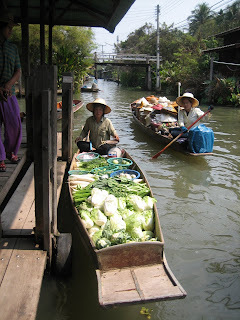 Everything floats in Bangkok, considering this city is built on a swamp. 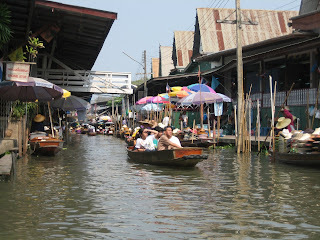 However, the floating markets are especially interesting. 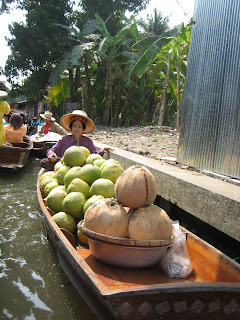 The klongs, narrow-water-ways, wind through the city and are full of wooden long-tail boats and locals selling fruits, vegetables, spices, trinkets and various Thai products. 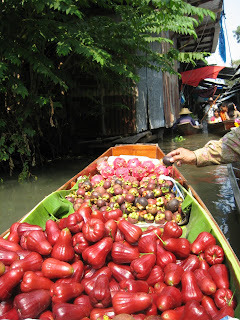 As we floated down the klong that Saturday morning, we requested several times that our boat driver stop and let us purchase multiple kinds of fruits and tasty Thai treats (generally fried) as well as buying some souvenirs…at the cheapest price possible. 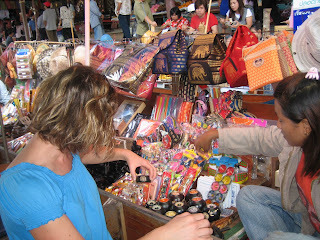 Wendy’s goal was to try to find something with “Made in the U.S.A” written on it, but couldn’t. 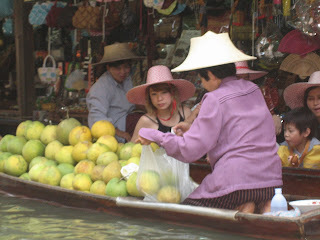 We’ll keep looking for her!